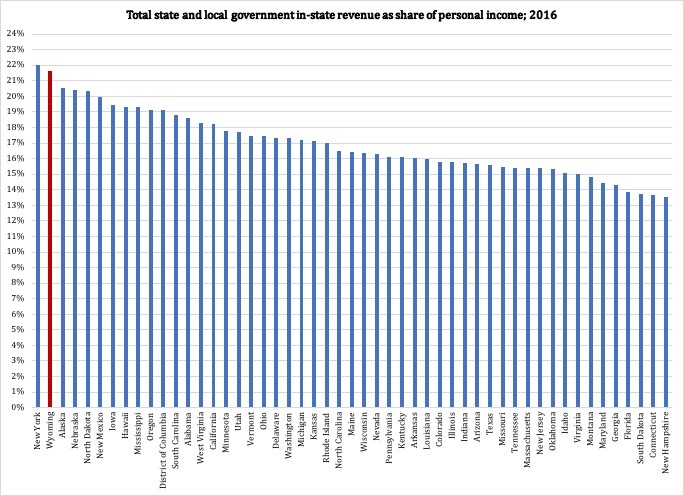 Total in-state revenue is all sources of revenue collected by the state and local governments, after subtracting federal funds. It is worth noting that severance taxes collected by the federal government, then routed back to the states, counts as "federal funds" in Census data. 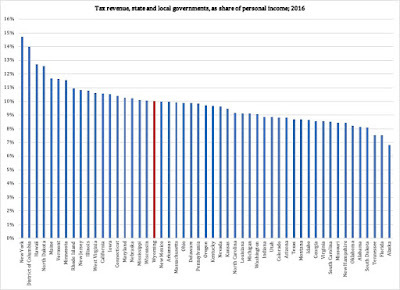 This actually makes the government sector in Wyoming look smaller than it really is; a rough estimate suggests that if we were to count all severance taxes as in-state revenue, Wyoming would even pass New York and have the largest government revenue collection as share of personal income - of all the 50 states. For now, though, we will have to make do with second place. Something to be proud of. 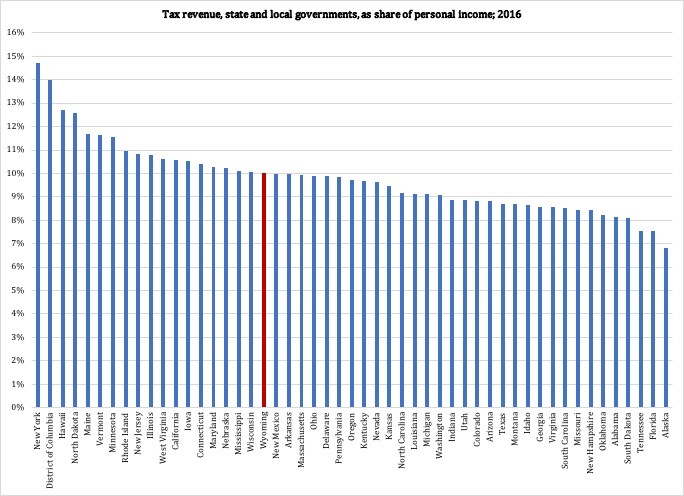 Now: what does it mean for Wyoming that we rank better with regard to taxes than with regard to total government revenue? 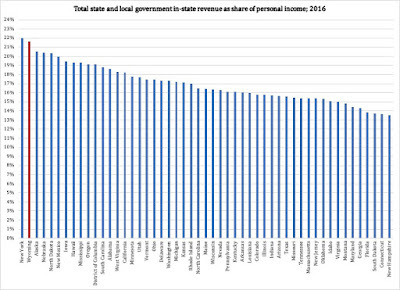 Simple: when someone tells you that we taxpayers in Wyoming only pay for a fraction of our government, remind them that if we add all the other sources of income that our state and our local governments have, we pay more for our government, out of our personal income, than people in any other state except New York. When the Wyoming Center for Political Economy starts up, we will offer a tutorial on government finances. Support us in our effort to get started. Make a small contribution today.